First launched in 2012, this version of the Yamaha R1 built on the already excellent 2009 model by adding six-stage traction control and a MotoGP-inspired slotted top yoke. The rear suspension is also slightly softer and longer. The 2012 R1 was pitched against some incredible machinery and the BMW S1000RR, Aprilia RSV4 and Kawasaki ZX-10R were all superior on-track. But the Yamaha is arguably a better road bike with its ultra-smooth power delivery and roomy comfort. The crossplane crank engine delivers V-twin-esque levels of low-down grunt but without the vibration or heavy engine braking you get from an actual twin, making it incredibly easy to ride in real world conditions. You either love or hate the crossplane R1's set-up, but it’s hard to deny that they sound incredible. You’ll feel like Valentino Rossi every time you open the throttle. 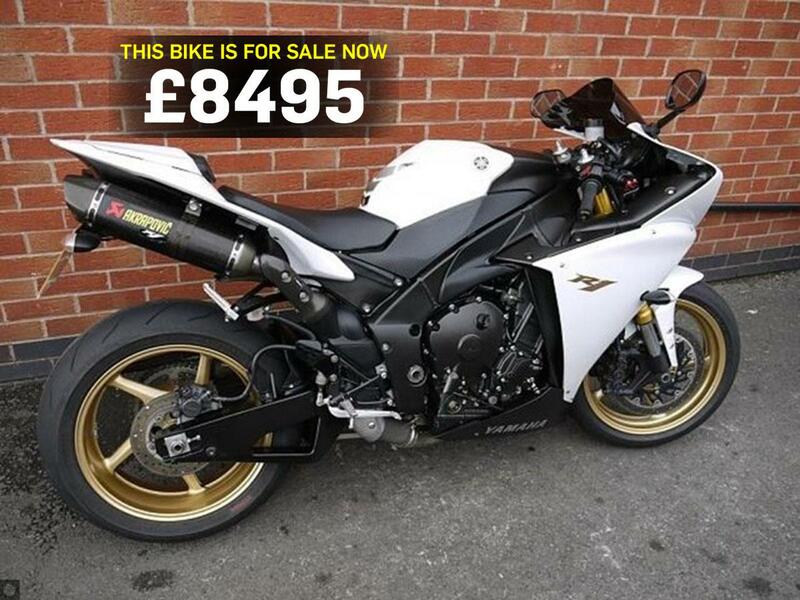 "This 2013 Yamaha R1 has just 8,808 miles on the clock and is finished in metallic white. It has Akrapovic silencers, billet levers and a single seat unit. "The bike has a full service history, all the original books and comes fully serviced. It is in fantastic condition, representing great value, and comes with three months warranty." Find this Yamaha and other R1 models at MCN Bikes for Sale.